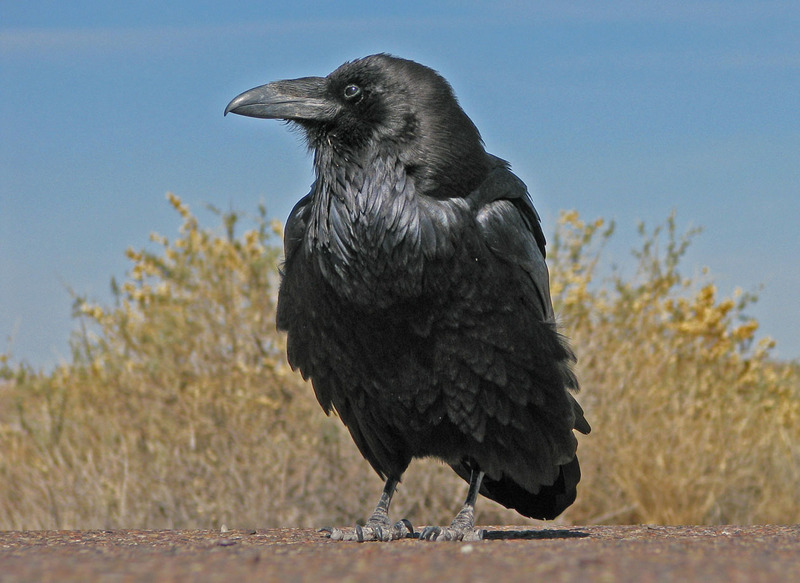 Posted January 11, 2010 in Articles and Ecology. Quetico celebrated its 100th Anniversary last year. Quetico was originally set aside in 1909 as the Quetico Forest Reserve, became a Provincial Park in 1913, logging was banned in 1972 and it was declared a wilderness park in 1978. 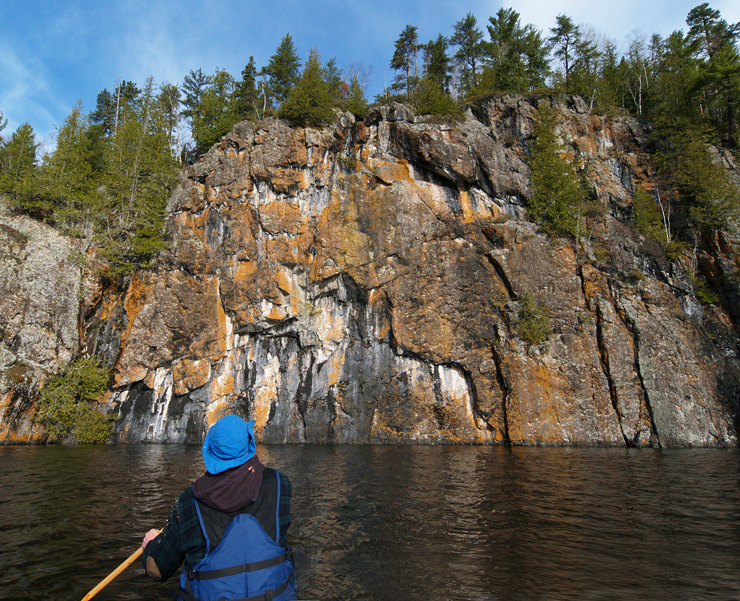 Quetico is characterized by towering cliffs, rocky islands and sandy beaches in a watery landscape of clear water lakes, rivers, creeks and bogs. 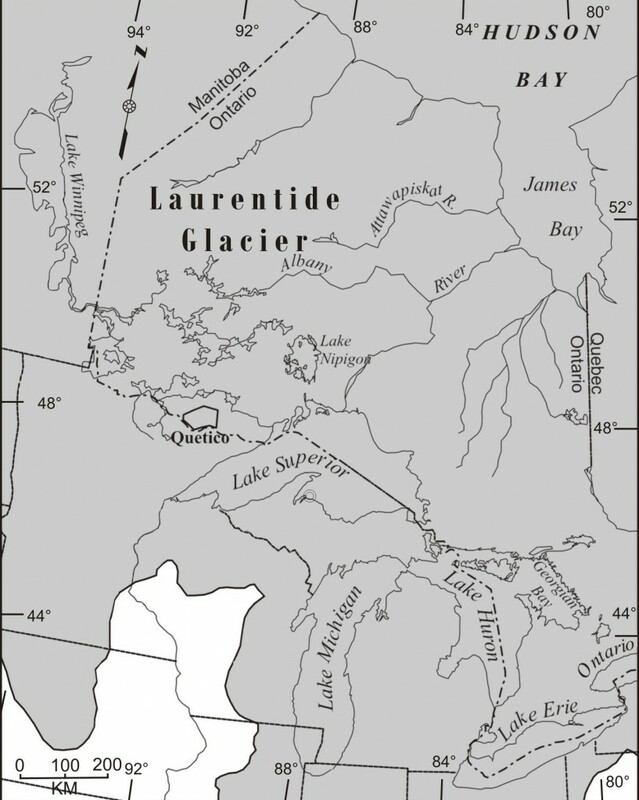 These compelling attributes that attract canoeists to Quetico are primarily the results of the actions of glacial ice and glacial meltwater at the end of the last Ice Age. Silver Falls at dusk the day after ice-out in 2008. Posted January 12, 2006 in Articles and Ecology. During the winter, all life under the ice has to adapt to conditions that are strikingly different from those found in the summer. In the summer, our lakes are layered with the warmest water on top and the coldest on the bottom. As you descend, the temperature slowly decreases until you reach the thermocline where there is a sharp drop in temperature. This invisible line separates the more productive waters that contain microscopic plants called phytoplankton from the much colder, darker areas below. Ice on a Northern Ontario lake. The thermocline is just below the surface in the spring and fall and drops to twenty-five feet or more in midsummer. Lake trout, burbot and a few other species of fish spend almost all their time below the thermocline and just enter the warmer waters for short periods to feed. They move up and down depending on the thermocline and even come to the surface when the temperature of the lake water is the same everywhere in late fall and early spring. In winter, the water beneath the ice is also layered, but it is the opposite of what is found in the summer. This, and the unusual properties of ice, is due to the bizarre chemistry of water. Water is the most dense at 39 Fahrenheit (4 Celsius) and consequently the water at the bottom of deep lakes is this temperature regardless of the season. This causes a topsy-turvey world where the warmest water in the winter is on the bottom (39 F.) and the coldest water is just below the ice (32 F.) at the top. Consequently, a lake trout swimming at a depth of 80 feet in the summer is in the coldest water in the lake and the same lake trout swimming at the same depth in winter is still at the same 39 temperature but is now in the warmest water in the lake. Anyone who has forgotten to add sufficient antifreeze to a vehicle or didn’t drain the plumbing at their cabin is well aware that ice expands as it freezes. Water is highly unusual in expanding, rather than contracting, as it goes from a liquid to a solid. If it acted like most compounds, ice would sink as it formed, and ice would be continuously forming at the surface and dropping to the bottom. This would cause lakes to freeze from the bottom up. Much ice would form and sink to the bottom on a -35 night in January. Virtually all our lakes, with the possible exception of the deepest, largest lakes, would be solid ice by March. This would obviously be devastating to life in our lakes. Since ice forms on the top of the water, it puts an insulating layer between the water and the colder air above. This greatly slows the formation of more ice. The accumulation of snow on top of the ice adds another, and better, insulating layer. Even with these insulating layers, we can still get over three feet of ice. This is a strong testimony to the severity and length of our winters. 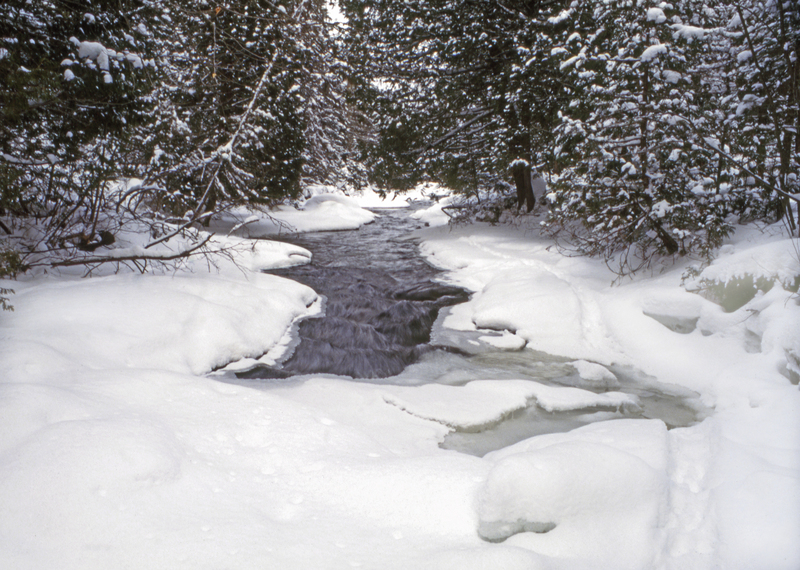 Ice and snow protect from the cold, but they also greatly decrease the amount of light entering the water. The combination of low light levels and low temperatures causes photosynthesis to virtually stop in the winter. Phytoplankton levels drop dramatically and, therefore, the production of oxygen virtually comes to a halt. The amount of oxygen that is in the water at freeze-up has to last until the ice-cover melts in the spring. Fortunately, the colder water is, the more oxygen it holds. Once again the chemistry of water works to the advantage of living things. Water obtains oxygen from two main sources: the photosynthetic organisms growing in it (phytoplankton, algae and photosynthetic bacteria), and from direct contact with the air. Both contact with the air and light levels are dramatically reduced at freeze-up and consequently very little oxygen is added to water during the winter. This means that for almost half the year, fish and other oxygen-using organisms, have to get by on the oxygen present when the ice forms. Since photosynthesis virtually stops, no more food is being made and the amount of food under the ice dwindles during the winter. It’s no wonder that many organisms cope with these conditions by slowing their metabolism. Cold-blooded reptiles and amphibians that overwinter under the ice survive by hibernating in the mud at the bottom of ponds or shallow bays of lakes. A frog meet its oxygen requirements by simply breathing through its skin. The skin’s large surface area allows it to remain stationary and still take up enough oxygen so it can survive a sleep of half the year. 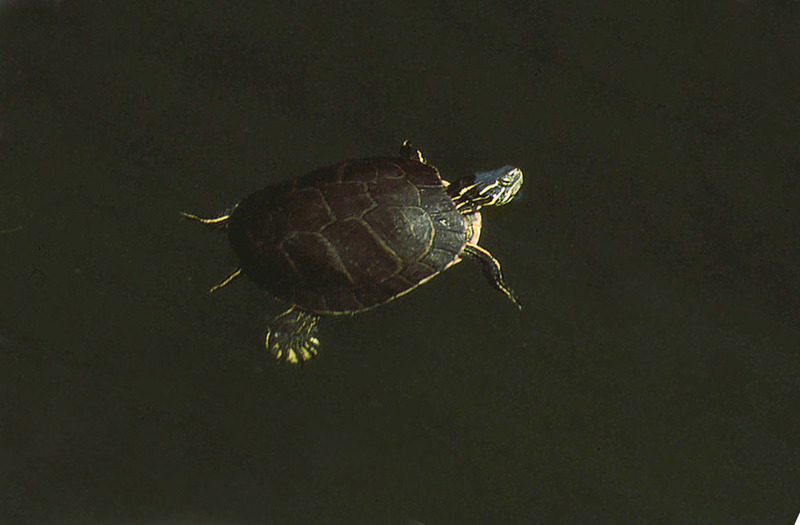 When hibernating under the ice, the heart of a painted turtle can beat as slowly as once every eight to ten minutes. Turtles meet their oxygen needs in a different way. They are also found at the bottom of shallow bays or ponds, but take in oxygen through their cloaca, the opening to their reproductive and excretory systems. They can do this because it is lined with a rich network of blood vessels that functions as a gill. Since lungs are specialized organs for breathing air, organisms like frogs and turtles have adapted other ways of absorbing oxygen from water. Many microscopic organisms, such protozoa and rotifers, form protective shells known as cysts and remain in an inactive state until the water warms up in the spring. Water fleas and other small crustaceans produce thick walled eggs in late autumn and these survive through the winter and hatch in the spring. Many fish also slow their metabolism in the winter. Species that spend most of the time in the warmer parts of the lake in the summer, such as largemouth bass, smallmouth bass, and walleyes, become much less active in colder water. This significantly lowers their requirements for both food and oxygen. They won’t increase their activity until the water warms in the spring. Fish that spend most of the summer in the cold water below the thermocline continue to be active throughout the winter. Lake trout are the best-known species of fish that stays active all winter. They thrive in cold water and travel freely throughout the lake in the winter. Their metabolism remains high and they have to continue to seek out and catch minnows and small fish all winter long. Although the cold does not bother lake trout, the decreasing amounts of both its prey and oxygen levels can be a problem. It would be interesting to know how lake trout hunt in the depths of the lake where there is little or no light. The deeper you go in the water, the less light penetrates. Even in very clear water lakes, light only penetrates to fifty feet or so, and below that it slowly fades to pitch black. Lake trout are caught by people fishing at depths where virtually no light penetrates. 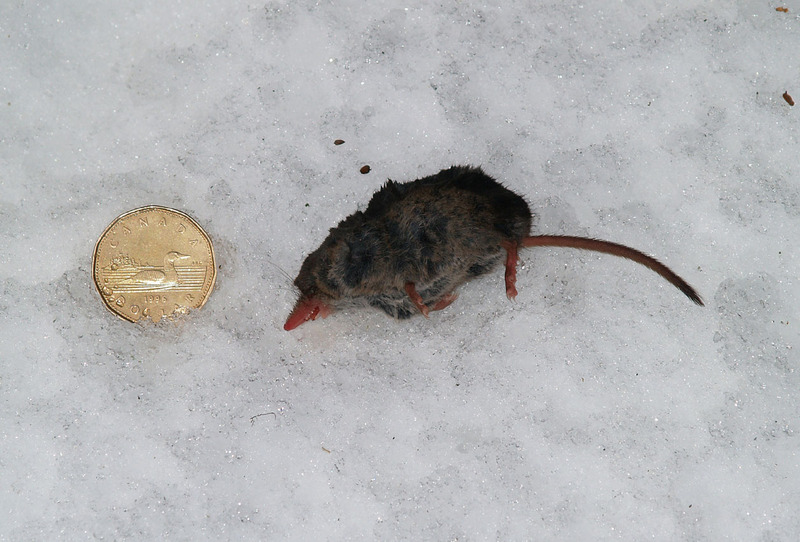 Even at shallow depths in winter, they have to capture prey in the very low light that penetrates through the snow and ice. 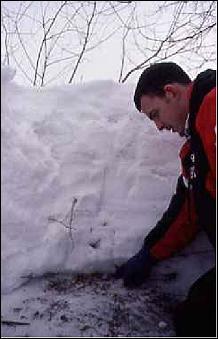 How they accomplish this is one of the many unknowns concerning the winter ecology of our lakes. Another fascinating cold-water species is the burbot. This unusual looking fish, also known as eelpout or lawyer, is a fresh water relative of the codfish. Burbot have been caught, along with lake trout, in nets at depths of over 400 feet in Lake Superior. They are active all winter and are often caught by people ice-fishing. Their eel-like shape, elongated fins and smooth skin probably account for their being discarded on the ice in spite of their excellent taste. Whitefish and their smaller relative, ciscoes, are other fish that are active under the ice. Both are usually found below the thermocline in the summer, but often enter warmer water to feed. Ciscoes can be seen surfacing on still days in the summer, but can also be found at more than a hundred feet. Their wide-ranging travels are responsible for their being reported to be important summer food sources for both lake trout and burbot in deep water and loons near the surface. 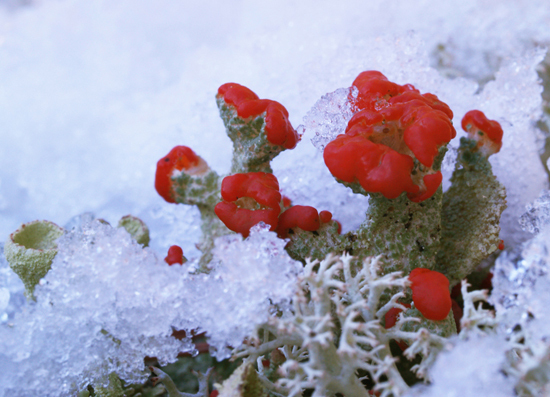 The conditions faced by organisms beneath the ice is similar in many ways to those faced by organisms at the bottom of the snow pack, in the pukak. The temperatures are constantly just a few degrees from the freezing point, it is either pitch black or with dim, filtered light, and the food source is constantly dwindling. Just like organisms in the pukak, they have met these conditions in diverse and inovative ways. It is a real challenge for cold blooded animals like fish, reptiles and amphibians to survive the cold conditions under the ice, but there are also a few mammals that enter the water under the ice. A thick coat is obviously needed to survive our winters and animals that enter the water need coats that are waterproof as well as exceptionally warm. Water siphons heat from the body much more rapidly than air and it is extremely difficult for mammals to maintain their body temperature in cold water. Beavers and muskrats spend most of the winter in their lodges huddled together for warmth. The insides of beaver lodges, insulated with mud and sticks, is many degrees warmer than the outside air. They spend much time grooming and keeping their fur well oiled. They have to enter the water to retrieve food that they have stored in a food cache next to their lodge. Even short immersions in the icy-cold water are enough to put a strain on their systems. The contrast between the somber, grey winter morning and the activity beneath the ice is captured in this combination photo/painting. Painting by Jennifer Garrett, photo by Marie Nelson. Beaver and muskrat have an unusual metabolic tactic that increases the time that they can spend in the water under the ice. They elevate their body temperature slightly just prior to entering the water and this gives them a few more minutes before their body temperature drops too far. Researchers have also shown that muskrats obtain oxygen from air bubbles trapped under the ice and presumably beavers do the same. Beaver and muskrat also have physiological adaptions that decrease the amount of heat loss when they are in cold water. 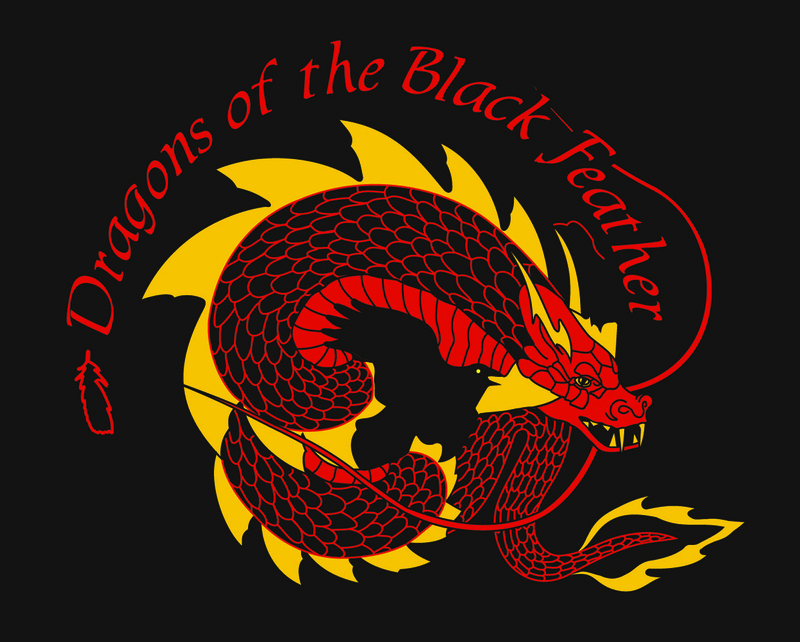 In their feet and at the base of their tails they have a network of capillaries where the arterial blood flowing toward the extremities passes in close contact with the blood in the veins returning from the extremities. The arteries give up heat to the colder blood returning from the feet and tail. This warms the blood returning to the body and cools the blood going to the extremities. This allows them to maintain a higher core body temperature and their cooler extremeties lose less heat to the water. Land animals, such as lynx and bobcat, also have a heat exchange system in their feet. 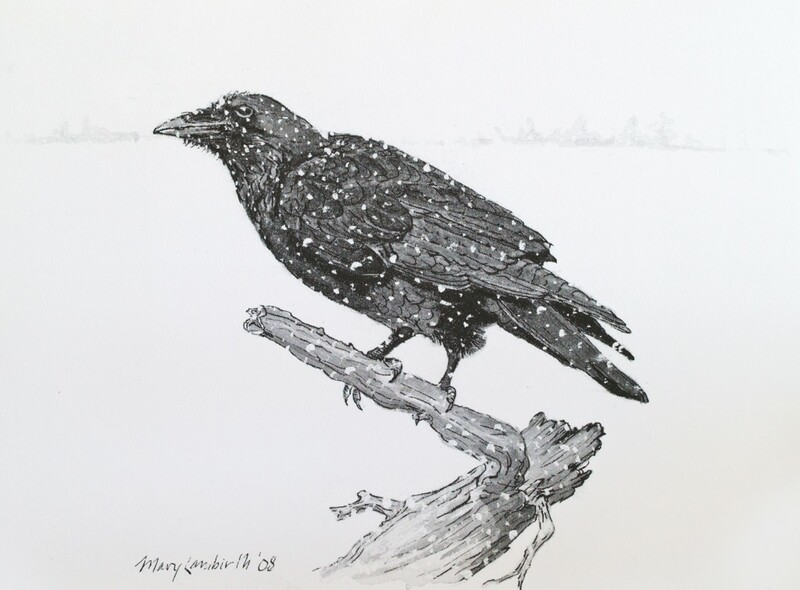 This allows them to lose less heat to the cold snow they stand and walk on. They carefully avoid, however, getting their feet wet in the winter. Most other mammals also avoid getting wet, since wet fur loses most of its insulating value. There are exceptions: both mink and otter enter the water in the winter to hunt their prey. When I snowshoe along the French River in the northeast corner of Quetico, I often see otter tracks along the river. Their tracks clearly show that they swim for stretches in the open water and come out and travel along the shore where the river is iced over. I am amazed that an animal can come out of the water in sub-freezing temperatures and travel over land in a wet fur coat. Two special adaptions enable them to do so. They have extremely dense and oily underfur that is both warm and sheds water. They also have outer guard hairs that are hollow for additional insulation, and that interlock with each other to protect the underfur. Otters have a streamlined body that, with extremely short ears, short legs and heavily furred tail, is also designed to minimize heat loss. Because of their short legs, they have to plow through the snow on land and leave a distinctive trough in their wake. It seems appropriate that this toboggan-shaped animal sides on its belly whenever possible. The track of an Otter along the French River in Quetico Park in January. 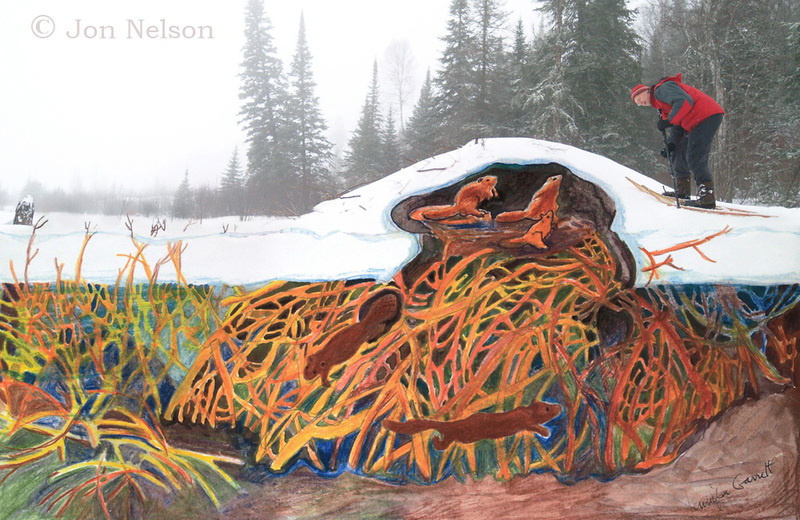 I have never observed otters playing in the winter but I have seen otter slides in various places in Quetico. There is usually one into the water below the rapids from Quetico to Beaverhouse Lake. Otter slide down the hill adjacent to the portage directly into the fast water that remains ice-free year around. The docks at both the Canada Customs and the Ranger Station at Prairie Portage were always covered with otter droppings when we arrived in the spring the years we were rangers at Prairie Portage. The open water below the rapids is a prime location for otter to hunt fish and crayfish in the winter. They obviously found the docks a convenient place to come out of the water, bask in the sun and relieve themselves. Beaver and muskrat huddle together for warmth in insulated lodges when they return from the water. Otters, on the other hand, are mainly solitary creatures in the winter and don’t have a primary lodge to return to. They evidently commonly use old beaver lodges for dwellings. They must consume a great deal of food in the winter in order to maintain their active lifestyle and stay warm. To do this they seek out prey both in open water and under the ice all winter long. They have successfully adapted to our extreme winter conditions both in and out of the water by taking an extremely active and aggressive approach to winter. Posted January 8, 2006 in Articles and Ecology. The high number of rapids and waterfalls in Quetico Park is primarily due to the large amount of exposed bedrock combined with numerous creeks and rivers. 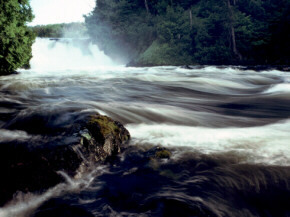 Three images of these rapids and waterfalls are shown below. 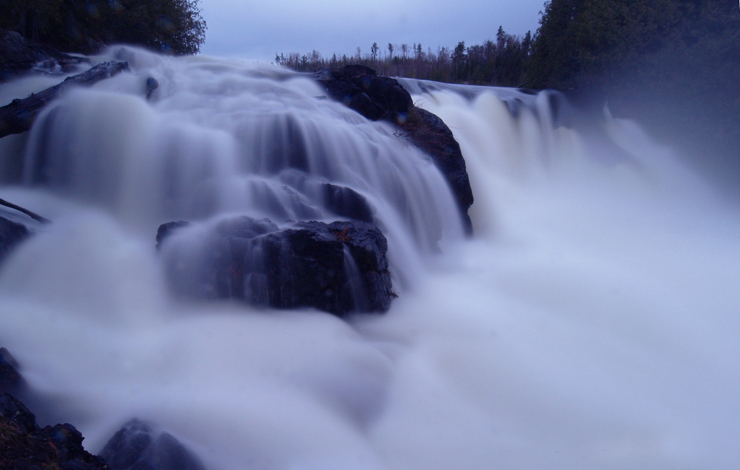 A Gallery of images of waterfalls and rapids in northwestern Ontario is found in the Photography section. 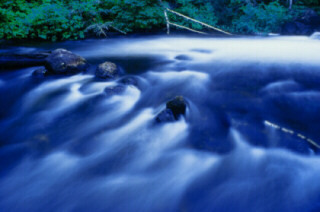 A number of long exposure images of water is found in the “fast water, slowly” Gallery. Silver Falls is located at the northwest end of Saganagons Lake . Silver Falls is one of the highest and most beautiful falls in Quetico Park and can be most appreciated from along the river below the falls since the view from the portage trail is not very good. Caution should be used when approaching these falls and the portage is found to the right of the falls. The portage, like the vast majority of those in Quetico Park, is thousands of years old and existed long before the arrival of the first Europeans. The water from Cache Bay on Saganaga Lake flows over Silver Falls on its way to Sagonagons Lake. 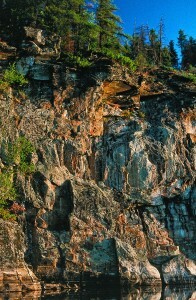 This is the route that leads to the ‘Falls chain’ between Saganagons Lake and Kawnipi Lake. Prairie Portage is located at the east end of Basswood Lake in Quetico Park. This small rapids/falls occurs where the water enters into the east end of Basswood Lake which is located on the southern boundary of Quetico Park. It is strange that this location is called Prairie Portage since there isn’t any indication of prairie anywhere near here today. The name evidently comes from the logging days when horses were kept in cleared fields at this site. The cleared fields have now reverted to forest and Prairie Portage no longer reminds anyone of a prairie. This busy site hasthe Canadian Ranger Station on the Ontario side and the motorized portage for Basswood Lake on the Minnesota side. This image of the French River was taken at dusk. The French River enters into French Lake near the eastern boundary of Quetico Park. The French Portage, which went from Windigoostigwan Lake to French Lake, by-passed this section of the French River which has numerous rapids. This portage, which parallels what is now Highway 11, is no longer used. 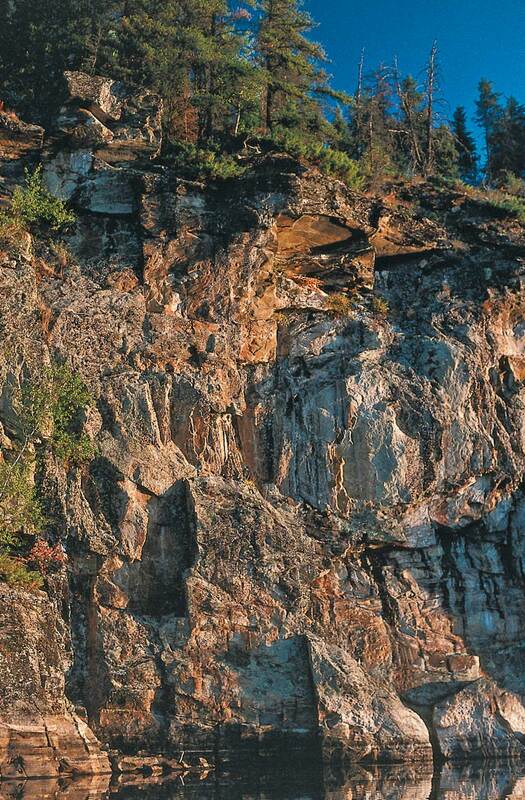 There is now a hiking trail which follows along the French River to French Falls. This trail is seldom used and is particularly interesting in the fall and winter. Falls Road is a rural road located southwest of Thunder Bay, Ontario. It is apparently named after a small falls that is located adjacent to the road. This photo was taken on a warm, buggy evening in late June. The long exposure, which was over a minute, gives the falls its milky appearance. 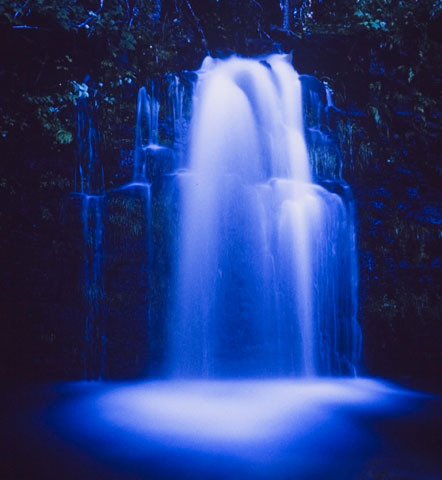 The overall, blue tint to the image is due to reciprocity failure of the slide film in the long exposure. Posted January 4, 2006 in Articles and Ecology. When I first came to the Boundary Waters I was mainly interested in going canoeing and seeing a new landscape very different from the farm country where I grew up in southern Minnesota. I kept coming back primarily because of the wildlife and it is still thrilling to see moose, wolves, otters, bald eagles, ospreys and loons. I also enjoyed seeing walleyes and lake trout, but I only sought them out when it was time to eat. My interests expanded as I spent more time in Quetico and other people caused me to see things from a different perspective. Quetico Park has been blessed with many terrific naturalists and I was strongly influenced by Shan Walshe and Shirley Peruniak. They were both working in Quetico when Marie and I started as Park Rangers at Beaverhouse Lake in 1976. Shirley is interested in the human history of Quetico and her enthusiasm and knowledge got me hooked on wanting to learn more about Quetico’s past. Shan Walshe inspired me, along with thousands of other people with whom he came into contact, to want to learn more about plants and their role in the environment. I enjoyed learning how to identify many common plants in Quetico, but I was the most impressed with the trees, especially big, old trees. I remember being shocked to encounter cedars much larger than I thought existed on the Emerald to Plough Portage. It is also interesting to come across trees that seem out of place. The bur oak along Have A Smoke Portage and the silver maples and American elms along the levees of the Wawiag are delightfully eccentric. Large, mature white pines on McNiece Lake. It was, however, the sight of an entire lake surrounded by old-growth white and red pines that had the strongest impression on me. I first saw these trees about twenty years ago when I took a trip north of Prairie Portage and last summer I was determined to return to McNiece to see these trees again. That is why I was standing in line at Prairie Portage with my wife, Marie, and our friends Andy and Paula Hill waiting for the Ranger Station to open in the second week of August of last year. I recall working on the inside of that building about twenty years ago and looking out at the line forming well before 8:00. Now they open later so I guess for an August morning we were fortunate in that the line was relatively short. A light very rain was falling and we were eager to be on our way. The paddle across Bailey Bay was hard since we were quartering into a wind that was gradually increasing. It was a nice break from paddling to do the flat, easy portage to Burke Lake. The rain increased in intensity and I could feel the water slowly wicking its way up my sleeves as I paddled. Prolonged, intense rain always finds a way down your neck and spreads out from there. I figured by the time we stopped to make camp the water moving up my arms should meet the water moving down from my neck. We stopped for lunch at the end of the portage into North Bay at a nice protected spot where overhead trees kept most of the rain off of us. We were headed to South Lake so we were able to take advantage of the islands to provide some relief from the wind. The paddle through the lilly pads that grow in profusion in the creek leading to South Lake is always a joy. There was just enough water to allow us to keep paddling except in one place where we had to get out and walk the canoes. One of these years I’m going to spend some time exploring West Lake but once again we just quickly passed through on our way to supper and dry clothes. Afterpaddling a short distance past the portage coming out of West Lake, Marie noticed a pair of small, pink water lilies. Don’t think I’ve ever seen a pink water lily before. We decided to find a campsite on Shade Lake and after much looking we found an unoccupied one. It hadnít stopped raining since we left Prairie Portage, so we weren’t fussy, we simply needed a site with two tent pads. Andy has guided for many years and his expertise in dealing with setting up camp and preparing supper in the rain was appreciated since I have a tendency under adverse conditions to simply eat granola bars and get in the tent. The tarp came in handy and with a fire we were able to dry ourselves and our clothes, eat a hot meal, drink hot coffee and go to bed dry and contented. The next morning, we woke to the sound of no rain. It was a spectacular morning with blue skies, light winds and cool temperatures. I remember having trouble on a previous trip on the portage from the unnamed lake west of Shade Lake to Grey Lake. It is as confusing now as it was then. There are two beginnings and a confusing intersection about halfway across the portage. If you began on the trail farthest west then you need to take a right at the intersection. Compasses do come in handy sometimes. There are many large white pines on Grey, Armin and Yum Yum Lakes but on Shan Walshe Lake they dominate the forest. As much as Shan loved mature forests and the plants they contain he had an even greater love of wet, boggy places. I hoped that nestled in behind the pines are some interesting swamps and bogs. The last portage to McNiece passes through large cedars and pines and some of them have very old blazes on them. On McNiece, we were fortunate to find the high rocky campsite that looks west down the lake was unoccupied. We spent two nights at this site and did some fishing and a lot of walking in the woods. After we had set up camp we talked to two people who paddled by looking for a campsite. One of them, Pat Bergman, had worked with Marie at the Outward Bound School in Ely, Minnesota in the late 1960ís. Mature white pines are the dominant species on McNiece but there are also many mature red pines. It was heartening to see numerous younger white and red pines scattered throughout, including many just a few years old. They were especially prevalent where large trees had fallen and left an opening in the canopy that allowed sunlight to reach the forest floor. White pine seedlings need a lot of sunlight in order to prosper and they are usually out-competed by balsam fir and spruce in shaded areas. 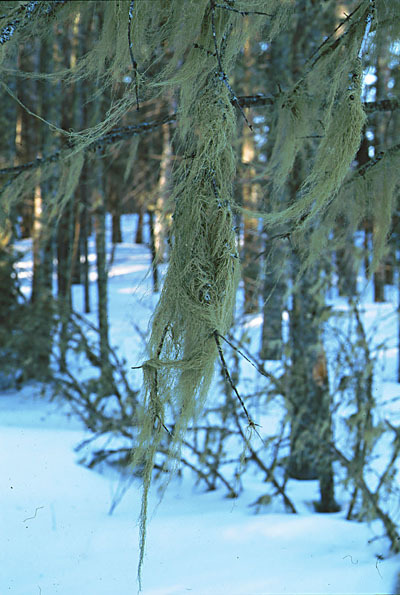 Consequently, there are many balsam fir and spruce in the understory and they dominate the understory in many places. 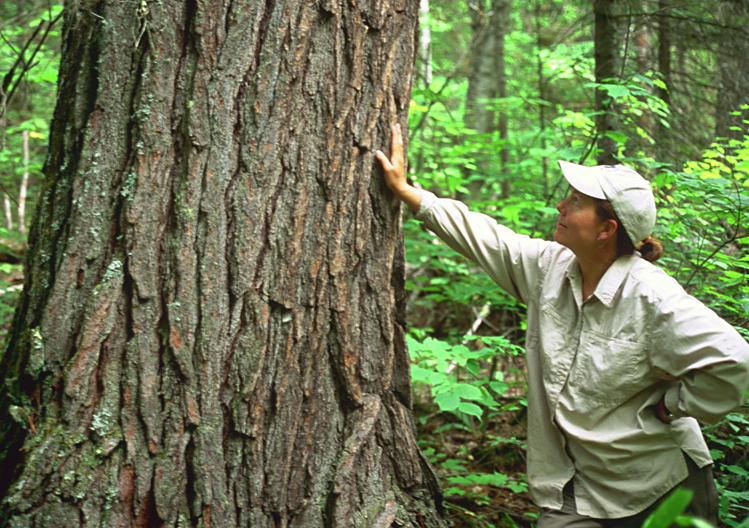 Paula Hill admiring a very large white white pine. We found white pines up to 3. 5 feet in diameter and there are thousands and thousands of white pine over 2. 5 feet in diameter. We were hoping to find the mother of all white pine but, more importantly, we found a healthy old-growth stand of white and red pine. The shoreline of McNiece Lake seen through a fog filter at sunrise. We decided to get up early on the second morning to take photos of pines in the early morning light and were extremely lucky to wake up to thick fog. 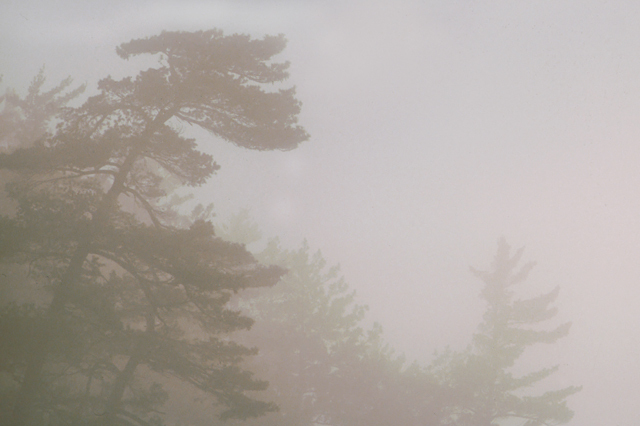 What a thrill it was to paddle around the lake and take photos of giant pines appearing out of the mist. Hundreds of years ago, much of northern Minnesota and Ontario had pines like this and it was like seeing the past through a fog filter. 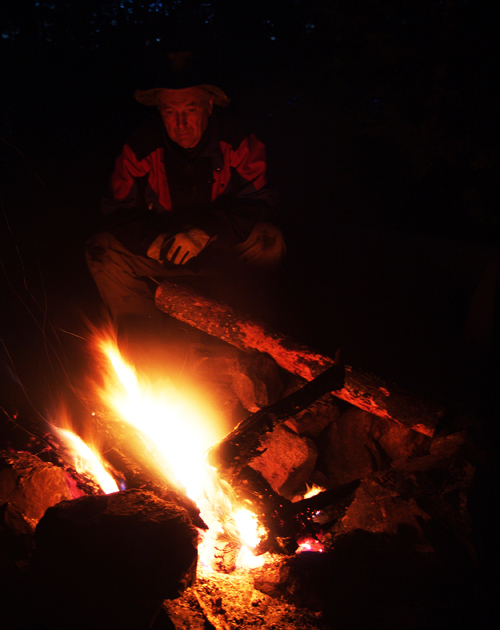 Andy Hill sitting around an evening campfire. which is terrific since all four of us love eating fish. Our days were full and we spent three glorious bug free, August evenings drinking “Quetico cocktails”, watching the sunset and solving the major world problems. It is hard to beat sharing one of the great places in the world with good friends. We decided to return to Basswood via Kahshapiwi , Side and Isabella Lakes. 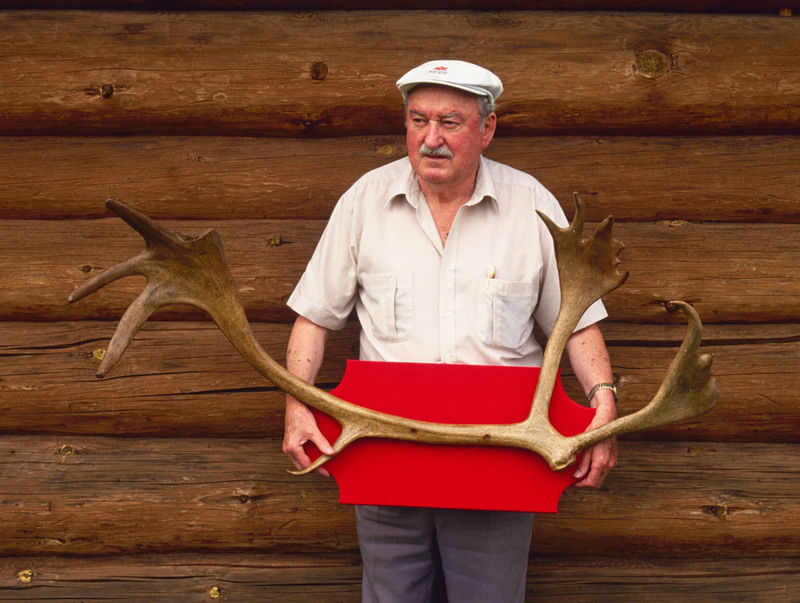 At the beginning of the portage out of McNiece Lake we had the pleasant experience of encountering Scott Wentzell, a son-in-law of Shan Walshe. He and his brothers had started their trip at French Lake and were on their way to Shan Walshe Lake. It was surprising to encounter two groups with people that we know on a lake that is not heavily used. Two of the portages that we did on our return trip; McNiece to Kahshapiwi and from the bottom of Side Lake southwest to an unnamed lake, made me realize that I, like the pines on McNiece Lake, may have evolved from being mature to being slightly over-mature. The first portage is simply long and has a good hill in to make sure you understand that it is a special portage. The other one must have the most brutal hill in Quetico, or at least that is the way I felt when I finally reached the top. It was good to get back to Prairie Portage, especially after once again crossing Bailey Bay quartering into a strong wind. Looking back, McNiece Lake seems to be in the centre of a very large stand of old-growth white and red pines since the concentration of these pines increases as you approach the lake and decreases as you move away. Cliff Ahlgren in Lob Trees in the Wilderness states that this is not an illusion and it is what remains of much larger stand of pines. “By 1890, most of the stateís remaining tall pine was limited to the Arrowhead region of northeastern Minnesota, including the border lakes country. The tall pines extended in an irregular band north, east and west of Duluth. 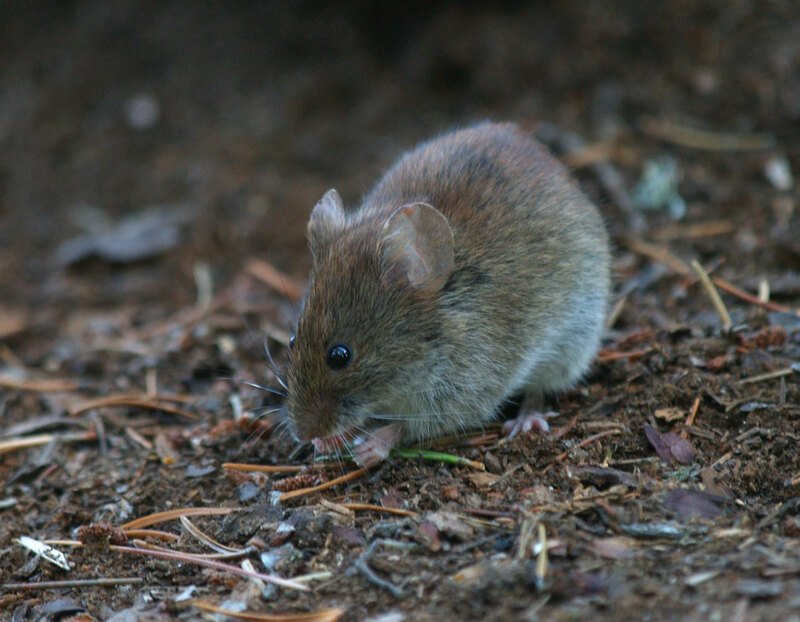 On large finger of tall pine reached into the central portion of the present BWCA, with the fingers tip ending in the Quetico, less than ten miles north of Basswood Lake. ” The finger extends a few miles north of McNiece Lake. The decline in numbers of eastern White Pine over the last two hundred years has been astounding. At the beginning of the 1800’s, white pine was a common, and, in many places, the dominant tree species from Newfoundland in the east to the southeast corner of Manitoba in the west; and from Georgia in the south to the shores of Lake Nipigon in northern Ontario. Dr. William Carmean, professor emeritus of forestry at Lakehead University in Thunder Bay, stated that ìin the early 1800ís, someone could have travelled from the St Lawrence Valley in eastern Canada all the way to the centre of the continent and virtually never been out of sight of magnificent old pines”. 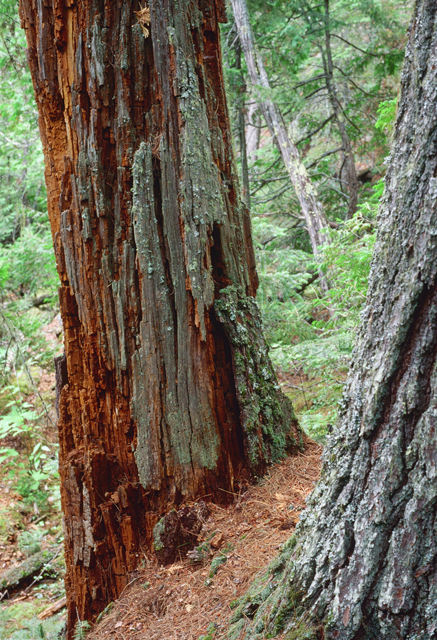 Although the numbers of mature white and red pine have decreased greatly for hundreds of years, they now have many ardent and vocal supporters. The white pine, in particular, has become a symbol of the wilderness in many people’s minds. A forester for the Ministry of Natural Resources in Thunder Bay, Ontario has stated that “to say you are going to cut a white pine these days is about the equivelent of saying you are going to murder your mother. This is not just another species with a problem”. Numerous studies have shown that mature white and red pines also play significant and diverse ecological roles. A study by the U. S. Forest Service showed that “when female black bears go off in search of food for their cubs, they invariably leave the cubs within a few meters of an old white pine if one is available”. Evidently the deeply fissured bark of a large white pine is the easiest for the cubs to climb if they need to avoid predators. Another study in the Superior National Forest found that approximately 80% of both bald eagles and ospreys build their nests in crowns of old white pines. They obviously seek out these old pines since less than 1% of the mature trees in the Superior National Forest are pines. Even standing dead trees play an important role in the environment. The variety of insects that infest these trees are important sources of food for woodpeckers and other birds. They also serve as nesting sites for a variety of cavity-nesting birds. Dead trees, such as this decaying white pine on the north side of McNiece Lake, provide habitats for numerous species of decomposers and the organisms that feed on them. Researchers investigating the canopies of large trees in the Amazon rain forest and in the mature conifers in Washington, Oregon and British Columbia have found thriving ecological communities in the canopies. They have identified new species of insects, birds, fungus and lichens. It seems inevitable that fascinating discoveries will also be found in the canopies of large stands of old-growth pines in the boreal forest also. The pines in the McNiece Lake area survived because of their location in an area that the loggers didnít reach before the logging restrictions, and, for some reason, they havenít burned. 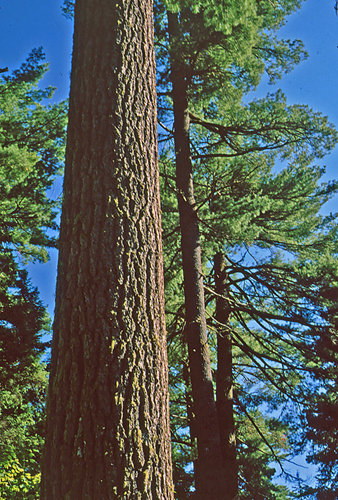 The logging of white and red pines helped to fuel the economies of the many places, including Minnesota and Ontario, where these pines were common. Both species declined dramatically primarily because of logging but have stayed in decline for many complex reasons that include disease, silvaculture practices and disease. The dead tops on white pines are the “flag” that indicates that white pine blister rust has infected many of the white pines in Quetico and the BWCAW. Fire can obviously destroy large stands of mature pines but it also is the force that is responsible for the success of white, red, and jack pine forests. Miron Heinselman in The Boundary Waters Wilderness Ecosystem stated that “White pine and red pine can persist without fire for up to 350 and possibly even 400 years for occasional individuals, but without a fire that creates favourable conditions for stand renewal, most stands will eventually be replaced by balsam and spruce as the old pines die.” I couldnít find any records of coring to determine the ages of the pines in the stand around McNiece. We found white pines that were over three and half feet in diameter and there are literally thousands of white pines in the stand that are over three feet in diameter. Based on ages of white pines obtained from coring data, these pines must be well over three hundred years old. There are many red and white pines in various age classes in the understory around McNiece Lake. There are also, however, many balsam and spruce growing in the shadows of the giant pines. This appears to be a stand that is gradually becoming more diverse as the number of non-pine trees increases. On the other hand, the mature white and red pines seem to be ageing gracefully and many pines, both white and red, are in position to replace them. It is impossible to predict how much longer the old-growth pines will dominate in the McNiece Lake area. It is a distressing to realize that in the foreseeable future, the magnificent stand of old-growth white and red pines on McNiece Lake will be gone. The trees will not be lost not to the chainsaw or the axe but to the inevitable ravages of time. I remember portaging up a long hill on the northern edge of Mack Lake on the way to Munro Lake in the eastern part of Quetico Park in 1996 and being amazed at how few trees had survived the 1995 fire. The fire raced up the hill through many old-growth white pine burning almost everything in its path. The only trees that were still alive were some of the large, old-growth white pine. 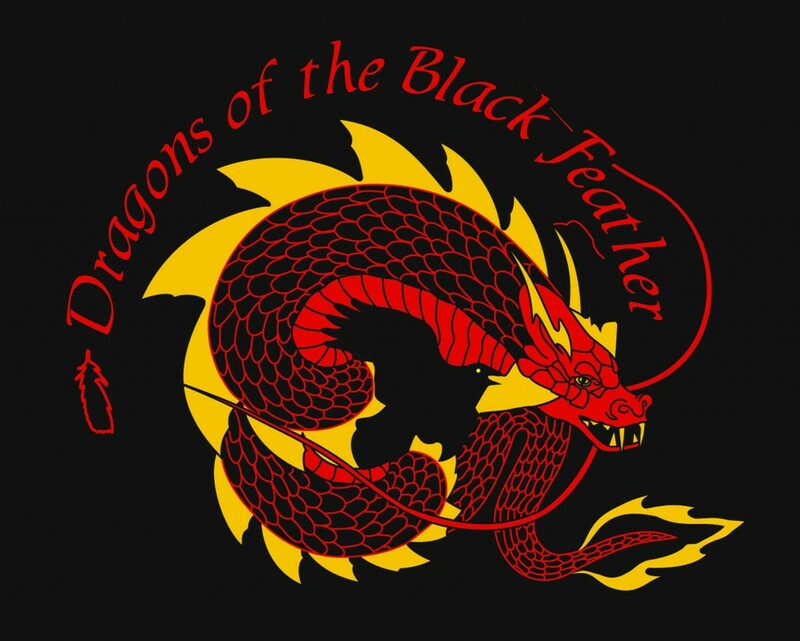 They were blackened and had fire scars along their bases but were still alive because of their thick, fire-resistant bark and branches that remained above the fire. I havenít been back since but these trees probably acted as sources of seeds to the open, nutrient rich ground below. In the past, before fire suppression was so successful, this was how a new pine forest began. William Carmean has written that “old-growth forest management involves more than merely reserving scattered old-growth forest stands. For white and red pine we must also be concerned with regenerating new pine forests, and with the recognition and protection of mid-age pine forests. These newly regenerated areas, and these mid-age forests, thus can become the old-growth forests of the future that will inevitably be naturally harvested by insects, disease and fire.” Fortunately, both Quetico and the BWCAW have stands of middle-aged white and red pines that will be the old-growth for future generations of canoeists. In retrospect, my reasons for canoeing in Quetico haven’t changed all that much over the decades. 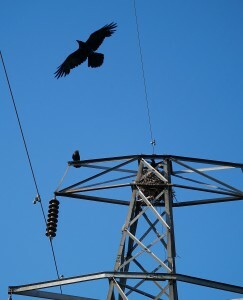 I originally came primarily to see large birds and mammals and on the McNiece Lake trip I wanted to see large trees. 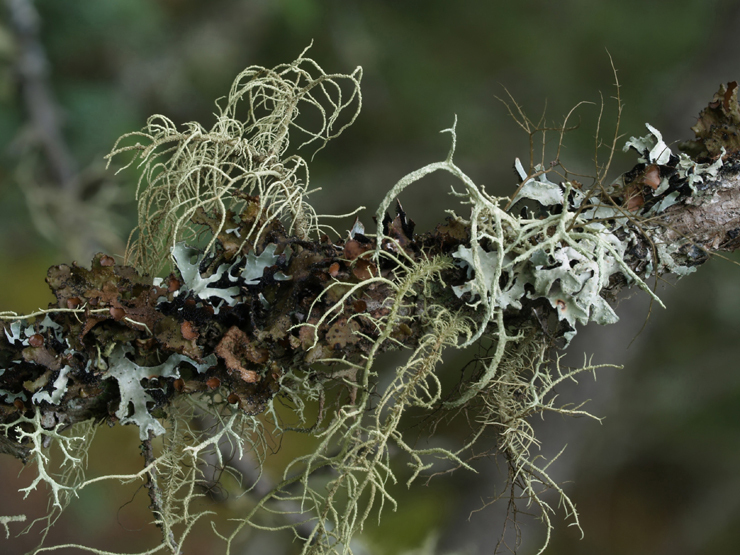 What is becoming obvious, even to a slow learner like myself, is that what I am really looking for is wildlife in the larger sense: mammals, birds, amphibians, trees, orchids, lichens, and fungi in a natural setting. In Quetico we can find all of this set in a wild landscape of cliffs, waterfalls, pictographs, bogs, creeks, rivers and lakes. No wonder I keep coming back.